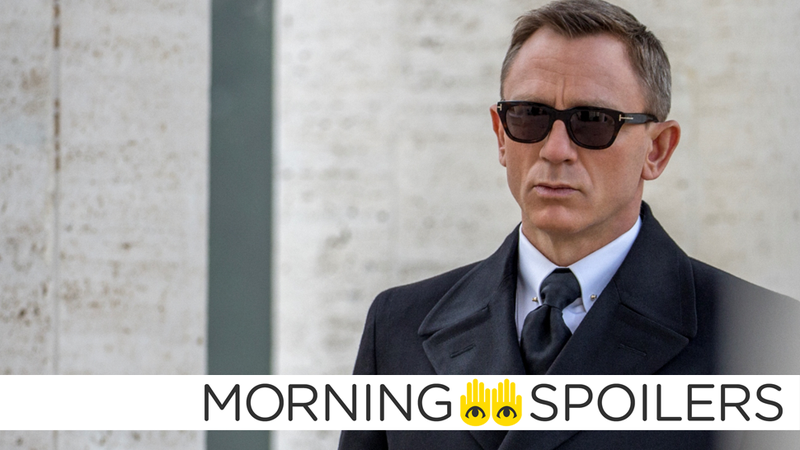 The Bond 25 team is purportedly being shaken (probably not stirred) up again. Bloody-Disgusting reports Into the Dark’s upcoming Mother’s Day episode is titled “All That We Destroy,” and concerns “a geneticist who fears that her son may be turning into a serial killer, and creates a group of clones in an attempt to cure him of his psychopathic tendencies by allowing him to relive the murder of his first victim.” The episode, starring Israel Broussard, Aurora Perrineau, Dora Madison, with Frank Whaley and Samantha Mathis, is directed by Chelsea Stardust and based on a screenplay by Sean Keller and Jim Agnew. A mysterious Man in Black (no, not that one) crashes a Christmas party in the trailer for “The Traveler,” this week’s episode of the new Twilight Zone.